Daily commentary on politics, life and humor from the perspective of an ABC radio journalist and Brooklynite. 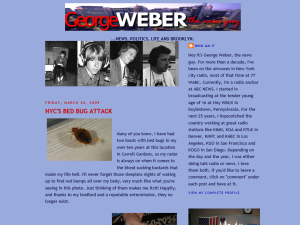 This what your georgeweberthenewsguy Blog Ad will look like to visitors! Of course you will want to use keywords and ad targeting to get the most out of your ad campaign! So purchase an ad space today before there all gone!